This word game offers great fun & opportunity to improve vocab, memory and observation skills at the same time. WordMemory is an awesome game designed for ALL age groups to have real fun and learn foreign vocab or other new thing either by playing word memory or any competition task. Your memory and observation skills will improve hugely. The app merges the advantages of the traditional memory games and popular vocab trainers. You are free to decide to select two different languages, or the same language twice. You can play this game only in your native language! More languages will be added soon. You will find more details in the app under ‘Rules’ – it is worth reading it. Playing the game is free, but you can activate some additional features by purchasing them. We are looking forward to your opinion and ideas. Please contact us in the app by clicking Message button or send an email to info@webword.eu. If you would like to remain brain healthy, play WordMemory regularly. The word memory game consists of 14 levels, and by completing all, you will win the black cat, and the green frog! The first level is super easy with 4 word pairs, but the game becomes gradually more and more difficult to find pairs. The last level contains already 56 word pairs. Not only the levels but also the words become more and more difficult from the basic vocab to the advanced level. The 13th level includes phrases, idioms, and proverbs, and the last level features abbreviations. You can play in your native language only, in this case your task is to find the same word twice. If you learn a foreign language, it is a great chance to improve your vocab. In this case you should pair words with the same meaning. Don’t panic! You can choose the difficulty level of the words if you are a beginner. See Settings in the app. The game experience is unlimited; our word database contains more than 4000 entries. 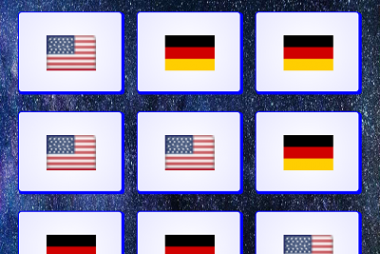 WordMemory includes competition tasks which work the same way as the word memory game. 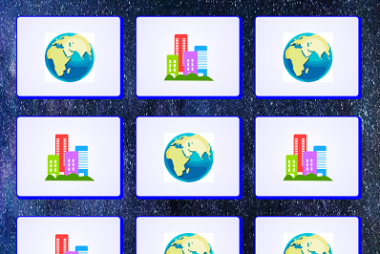 Here are some examples of tasks you can solve: Capital cities and Roman numbers. To play them, you should choose a nickname and give your email (optional but recommended), then the app starts the selected competition. 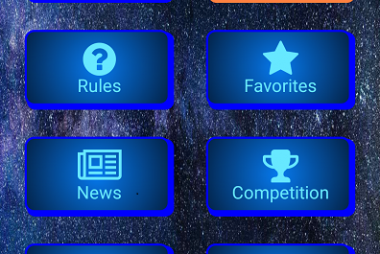 More and more challenges will be added to our app in various topics. The summary of your result appears on our score board, which you can open by tapping the checkered flag on the upper right corner of the competition page. The score board displays the top three ranked competitors. If you are not among the top three, then your rank is displayed below them. The competitor conquering higher levels wins over others reaching only lower levels. On the same level, the competitor turning less pairs overall wins. Real brain teasers.